Get your free printable activity sheets here, all with a St Patrick's Day theme! 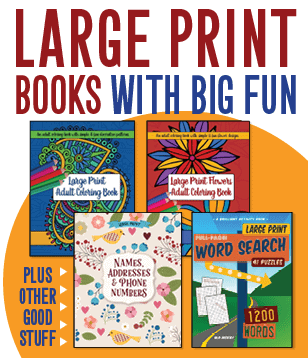 From educational word games to mazes and coloring pages, there's something fun for every child. Teachers: You are free to down... See it! Every leprechaun knows that you find a pot of gold at the end of the rainbow! Here he is with a shamrock-clad container for his treasure. ... See it! These four pretty patterned Easter egg shapes -- each one with a different design -- are all ready for you to color and/or cut out! Maybe you can can use them to decorate for Easter, or to add to greeting cards... See it! This adorable duck is surrounded by his little chick friends! Just click the image below to get a larger version you can print out. ... See it! These three silly little Easter bunnies are getting ready to have a happy Easter! One of these rabbits is taking a huge egg somewhere, another is looking at a broken Easter egg shell, and the other is just abou... See it! This heart shape has six different patterns inside -- including little hearts inside circles. How will you color them? (Click on the picture to see a larger, printable version.) ... See it! Make this heart shape with a beautiful flower and leaf pattern all your own! This one is great for kids and adults. (Click on the picture to see a larger, printable version.) ... See it! Make this holiday decoration your own by adding ornaments and any other decor you like to this Christmas tree! (Click on the picture to get a larger printable version.) ... See it! In the story of Hansel & Gretel, the children find a beautiful gingerbread house in the forest! About the middle of the day they saw a beautiful snow-white bird sitting on a bough, which sang so sweetly ... See it! Here's Santa Claus checking in with Hermey and Rudolph the Red-Nosed Reindeer, from the vintage stop-motion TV special Christmas television special Rudolph the Red-Nosed Reindeer, from Rankin/Bass Productions. ... See it! This Christmas stocking -- decorated with holiday bells -- is overflowing with toys, treats and other goodies. ... See it! Two nutcracker soldiers are here in front of some sheet music, awaiting your festive holiday coloring commands! Just click on the image below to get a larger printable version. Christmas nutcrackers coloring... See it!